We have gained a reputed position in industry by offering to our clients a premium quality Digital Colposcope. Our offered products are acclaimed in the market for its user friendly nature. These products are examined on numerous parameters for supplying an excellent range. Provided products are manufactured with better quality basic material under the direction of accomplished professionals. Offered products are accessible in different stipulations to meet the exact requirements of the clientele. Leveraging on our vast industrial experience, we offer an extensive range of Fetal Monitors and CTG Machine. 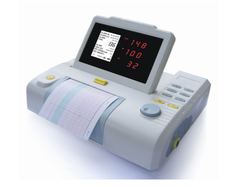 Our offered fetal monitor is used to record the fetal heartbeat and the uterine contractions during pregnancy. Along with that, the entire range of fetal monitor is tested by a team of quality experts on diverse parameters to deliver flawless range to the clientele. Customers can avail this fetal monitor from us at nominal rates in a given time frame. We are dedicatedly involved in fabricating the best possible assortment of high grade CTG machine that is designed by our industry experts to record the fetal heartbeat and the uterine contractions (-toco-) and other fetal movements during pregnancy. Being a well establish enterprise of this industry, we are engaged in offering an optimum quality Fetal Monitor. The given fetal monitor is provided in number of customized options to choose from. 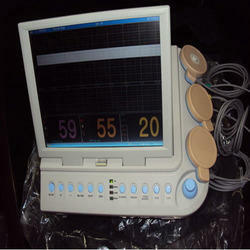 This fetal monitor is developed using high quality material & leading techniques in accordance with industry standard. In addition, the fetal monitor offered by us is passed through a series of practical tests so as to supply a defect free range. 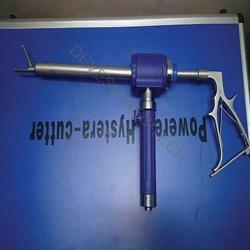 We are one the leading manufacturer and supplier of Uterine Manipulator. The uterine manipulator is a key instrument in this procedure, providing the correct amount of tissue tension needed for any anatomical surgery. 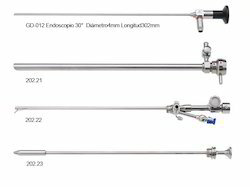 Our company has achieved laurels in offering Hystero Resectoscope to the clients. This product is manufactured by the team of diligent personnel using quality approved material in compliance with the set industrial norms. 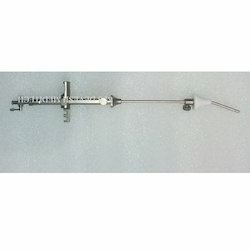 Hystero Resectoscope is used in medical clinics for inspection of the uterine cavity. Offered range is tested at various parameters in order to meet the quality standards under the supervision of quality controllers. This product is broadly demanded by the valuable customers for optimum strength and high efficiency. 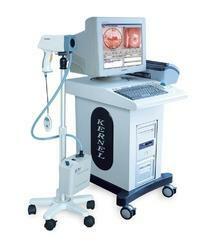 Looking for Gynecology Equipments ?